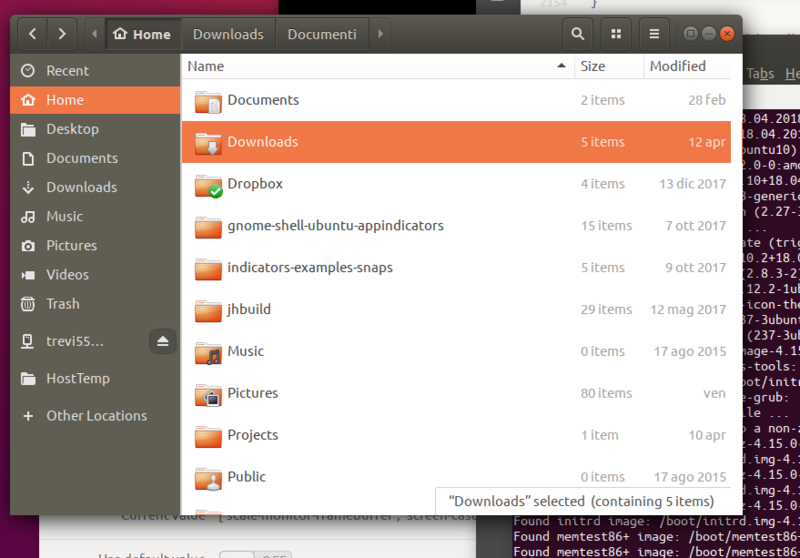 The new theming of the Nautilus sidebar is confusing to users. 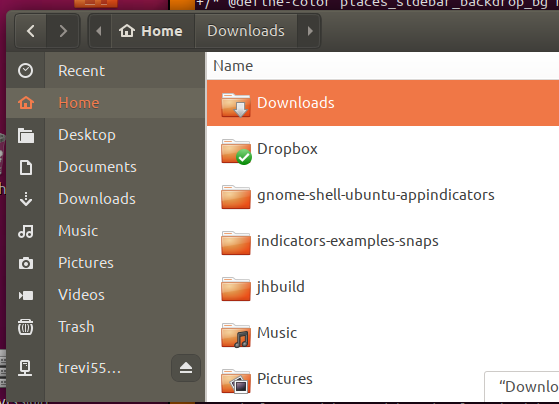 The icons and the icon labels have a different background colour, and when a specific location is selected the background colour of the selected icon changes to be the same as the background colour of the labels, while the other icons have a darker background colour. This is giving the impression that the text labels are a hierarchy of the icon, rather than simply being labels associated with each icon. I agree to this bug. I think the sidebar should have the same background, labels and icons. But there's a lot of complexity there. I can't tell what does what. Not sure how this can be solved... Something like https://i.imgur.com/ZVXQ1ku.png ? Not sure how this can be solved... Something like https://i.imgur.com/RA9esFK.png would be better? I think there are just too many columns. The icons and labels should have the same background colour. So one column instead of two. Same as the design of the side bar in http://news.google.com - one background for icons and labels. I think that's a too big change, and Ambiance-RW that was ack'ed by design had this two color situation. One thing we could do however, which won't involve much change nor break visual, could be just leaving the item selected with orange background, so although there are two colors, it should be pretty visible what they refer to. I think that would be OK as a solution, but not ideal. I don't know anything about Ambiance-RW's motivations but it seems like poor UI design to have two separate background colours. Each row is a single object made up of an icon and a label. It's visually confusing that each object is split across two columns. That is true, it should be the same color for icon and label as they are one item. I think the latter solution - keep the dark background but remove the line - makes the most sense. Can this be SRU'd to 18.04 when done? I think this is a significant enough design bug that an SRU should be done? Regression potential would be, perhaps, that updates (the change from the buggy UI to the new UI) don't produce the intended result (though updates can easily be tested for). Oh, except for a less dramatic deviation from the current design the sidebar should have orange text and an undivided dark background, I think, rather than an orange line, as in the most recent imgur. Probably the lighter shade of gray should be used. I also agree that https://imgur.com/qS0ODeq would be best.